Little Blue Suitcase, LLC | Adventure Awaits! This is not a cruise. This is an unforgettable island hop to some of the world’s most captivating shores. Savor spicy West Indian fare in bustling St. Thomas. Roam ancient Maya ruins and scout secluded cenotes in Mexico. And paddle up the Sibun River for a glimpse at exotic animals in Belize’s Monkey Bay Wildlife Sanctuary. When you book now, you’ll enjoy 50% off your second guest. Bring the whole crew along, because kids sail free. 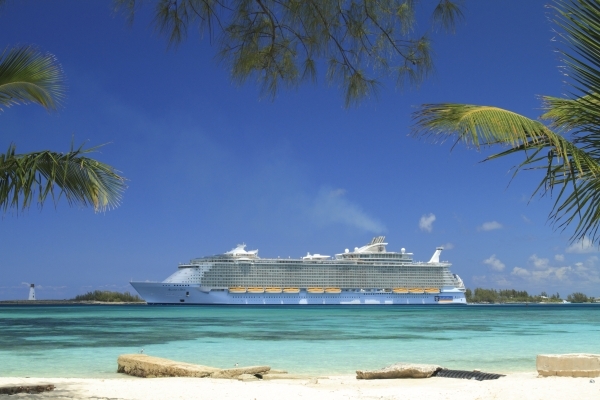 Come Seek the Royal Caribbean®. Contact us today to plan your sunny Caribbean adventure. No matter where you decide to go in the world for your next vacation, you'll never be disappointed with the ship you pick. Royal Caribbean's ships take your breath away even before you reach some of the most awe-inspiring places in the world. 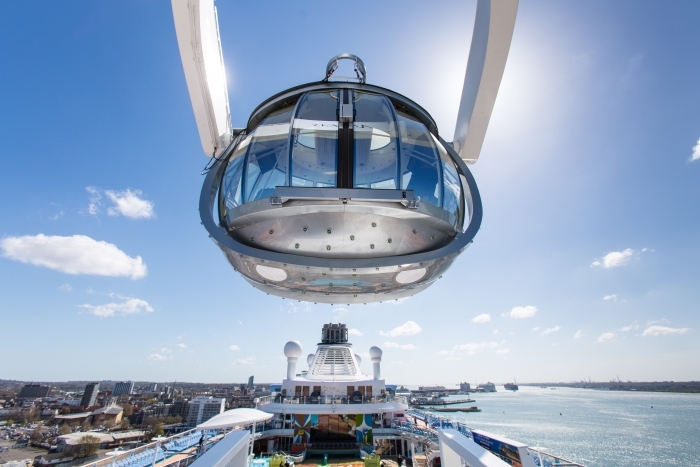 Royal Caribbean introduces its newest and most technologically-advanced cruise ship, Anthem of the Seas. 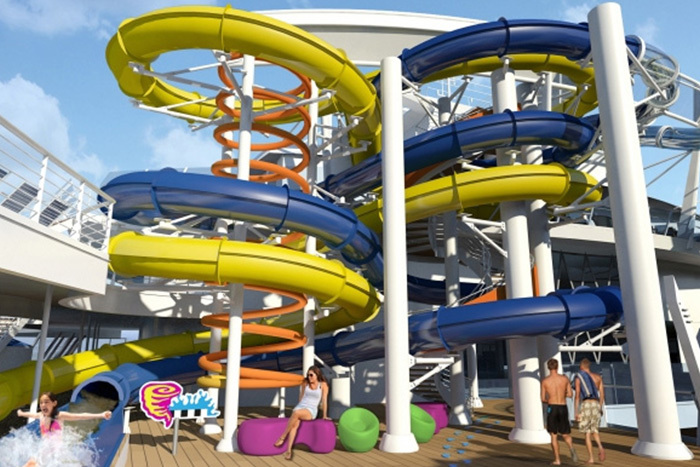 The world’s biggest, boldest family vacation ever comes to Barcelona next summer with more slides than any other ship, and more memories per minute. Experience the Thermal Suite, with heated beds, showers, and a collection of exotic steam vapors throughout. Or try Rasul, an Arabian cleansing ritual of chakra muds and aromatherapy. *Price is per person, in USD, cruise only, applies to select sailings, interior stateroom, based on double-occupancy, and reflects any promotional savings. “BOGO” Offer: Cruise must be booked between 4/1/19 – 5/7/19 (“Offer Period”). 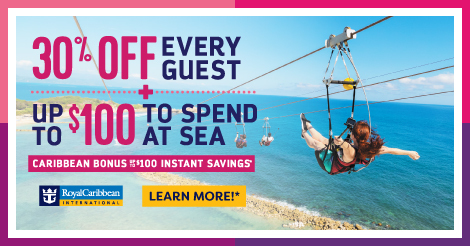 Offer applies to select sailings departing on or after 5/1/19. “BOGO” offer includes 50% off cruise fare of second guest booked in the same stateroom as first, full-fare paying guest (“BOGO50”). “BOGO” Offer also includes 25% cruise fare savings for third guests and higher booked in the same stateroom as the first two qualifying guests. 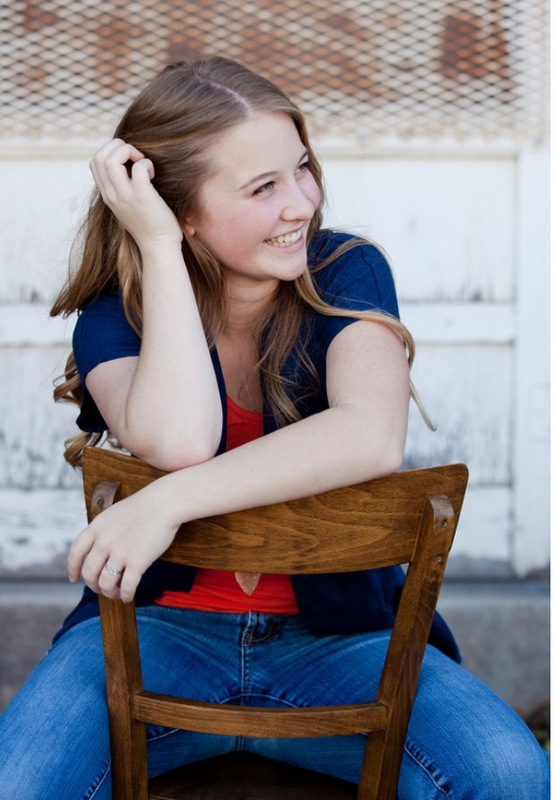 “Kids Sail Free” provides free cruise fare for 3rd guests and higher who are 12 years old or younger on select 4-night or longer Alaska, Bahamas, Bermuda, Canada, Caribbean, CaribNE, Coastal, Cuba, Europe and Hawaii sailings departing between 5/1/19 – 5/15/20. Offer excludes Summer sailings (Sailings between 5/15/19 – 8/31/19), 2019 Thanksgiving sailings (Sailings between 11/23/19 – 11/30/19), Holiday sailings (Sailings between 12/15/19 – 1/3/20), President’s Day sailings (Sailings between 2/14/20 – 2/17/20), Spring Break sailings (Sailings between 3/14/20 – 3/23/20) and Holy Week/Easter sailings (Sailings between 4/3/20 – 4/17/20). NRDB cancelled prior to final payment due date will receive a future cruise credit in the amount of the deposit minus a 100USD/CAD per person service fee ("FCC"). FCC is non-transferable and expires 12-months from issue date. 100USD/CAD per person service fee applies to changes to NRDB ship or sail date. Deposits made toward Guarantees and Grand Suites and higher categories are non-refundable and are subject to NRD Booking Terms. Offerapplies to new, individual and named group bookings confirmed at prevailing rates. Offer open to residents of US, Canada, Puerto Rico and select countries in the Caribbean. Prices and offers are subject to availability and change without notice, capacity controlled, and may be withdrawn at any time. Refer to www.RoyalCaribbean.com for complete terms and conditions. ©2019 Royal Caribbean Cruises Ltd. Ships’ registry: Bahamas.